Save the Orangutan cooperates with Borneo Nature Foundation (BNF) to protect the wild population of approximately 2000 orangutans in the Rungan River area of Central Kalimantan. BNF is a research-based Indonesian organisation which manages nature conservation programmes in Sabangau Forest, Rungan River Landscape, and Barito Ulu on Borneo. The BNF project which Save the Orangutan currently supports is funded by a grant from Civil Society in Development. Among other things, the project will help obtain recognition of the native Dayak people's rights to the land in the Rungan River area. The recognition of these rights will help protect the forest against deforestation. The 2000 wild orangutans in the area have lived alongside the local Dayak people for generations. Today, the diverse rainforest in the area is threatened to be re-opened for palm oil plantations. This will carry overshadowing consequences for orangutans and humans alike. 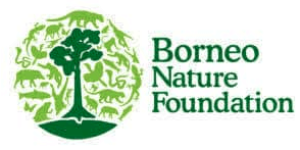 Borneo Nature Foundation (BNF) was established as a peat and forest project in the mid-1990s on central Borneo. 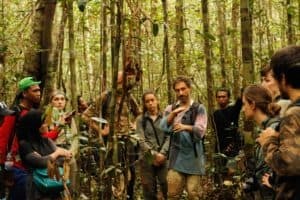 The two British researchers and botanists, Jack Rieley and Susan Page, initiated a series of studies and have compiled several data documenting life and the ecosystem in Sabangau (Central Kalimantan area). The project has since become the organisation of Borneo Nature Foundation with the aim of strengthening their efforts against the threats to Bornean nature and wildlife and to conserve larger parts of Borneo's unique nature and biodiversity.